Well…my last week in DC has arrived after 8 months of living here. I cannot come close to explaining how exactly I feel right now as I plan to enjoy every aspect of this beautiful city in the next 6 days with my favorite people, travel back home to Penfield, NY to spend time with my family for a week, and then go back up to St. Lawrence University the following week for my senior year. For once, Bex is actually at a loss for words in regards to describing the extreme mixture of feelings she has in anticipation of the next three weeks. I know I will be back to DC very soon, and yet I still have the urge to excessively enjoy my favorite elements of the city before leaving this Sunday. For example, Eastern Market: the place where my best friend Kahin and I made many great memories, the place that exerts the hectic, local and unique culture of DC, and the place where my I love buying fresh produce for my weekly breakfast creations. 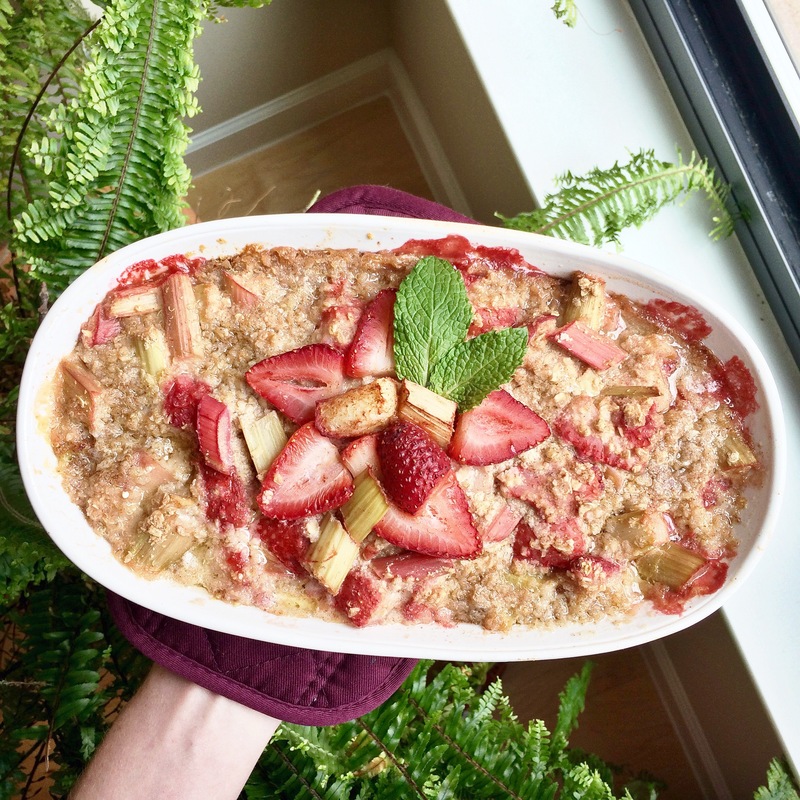 Rhubarb is definitely one of my favorite summer delights, especially when paired with the Market’s fresh white peaches and strawberries. This breakfast bake makes for a perfect morning brunch, an afternoon sweet treat or a post-dinner dessert. And…it’s easy! Preheat the oven to 350 degrees and grease an 8 or 9-inch baking dish. 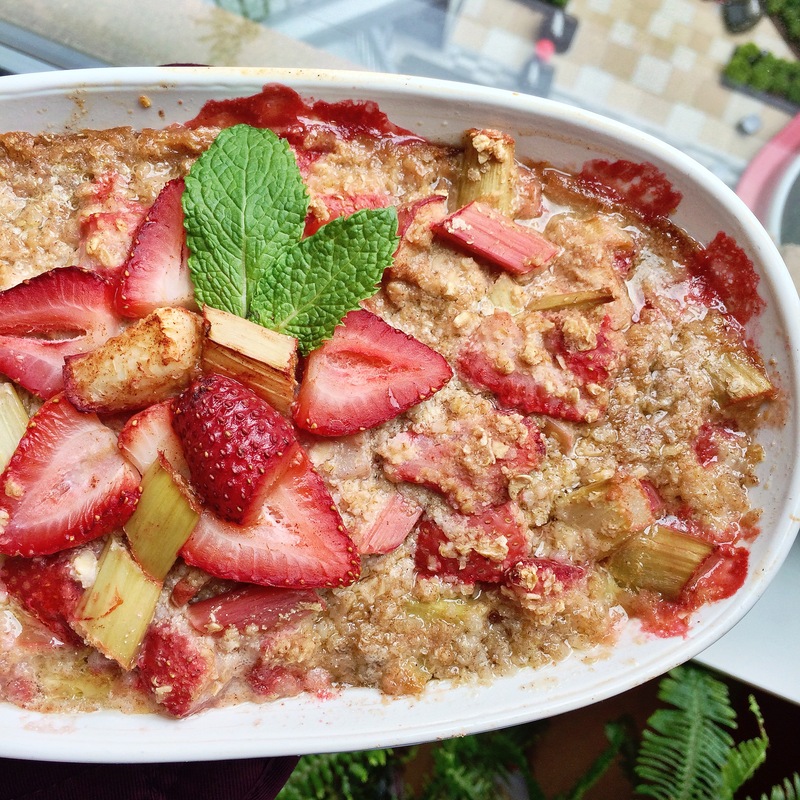 In a medium bowl, stir together oats, uncooked quinoa, brown sugar and 1/2 tsp. cinnamon. 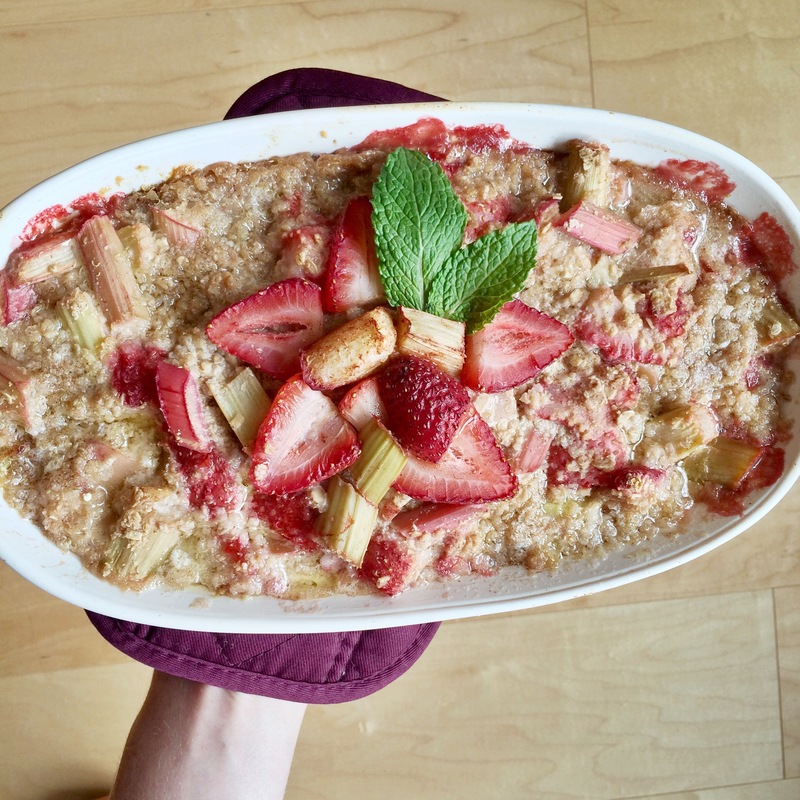 Cut up rhubarb, white peach and strawberries and place in a separate bowl. Sprinkle with 1/2 tsp. cinnamon and mix well to coat fruit. Pour the fruit into the dry ingredients and mix to combine. Next pour in the milk and mix well. Pour mixture evenly into baking dish and press small cubes of butter throughout the breakfast bake. Top the bake with one strawberry slice and arrange in a star pattern. Bake for 25-30 minutes. Bon appétit!